Our effectiveness on an international level is clearly explicated not only by our search for the best offers in terms of cost of solar panels, but also by our periodical missions into manufacturing establishments, aimed at verifying products quality, certification and production standards (for instance in solar cell standards). Moreover, Office Dealer is focusing on new solar panel solutions (BIPV- Buinding integrated photovoltaics) and solar accessories. In 2011 the company registered its own brand SUNSEA for the distribution of highly-integrated transparent PV modules, made of double glass and colored solar cells. For any enquiry or technical info, or pick of possible installations (roof solar panels, balconies, parapets, whether they are either off-grid PV or grid-tied PV systems), please refer to our website www.sunseaenergy.eu. Office dealer has been exhibiting at the Intersolar Munich-Germany in June 2011 and at the Intersolar North America- San Francisco in July and voted as one of the most innovative companies in Europe in this field. 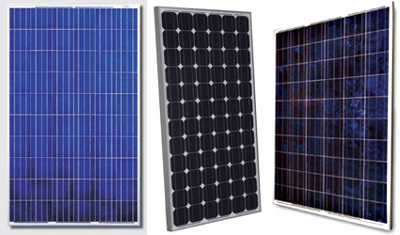 THE BEST SOLAR PANEL BRANDS AND AMAZING PRICES!!! 1) SUNSEA PRODUCTS: Highly building-integrated solar panels (BIPV), custom-made and designed, easy on eyes and efficient of power and quality. 2) SUNSEA LAB: A group of experts (in cooperation with a team of American and Israeli researches) studying and searching for new and innovative products in the field of renewable energies (for instance in solar energy). 3) SUNSEA DESIGN: Office dealer engineers and installers are ready to design BIPV modules and systems, according to client’s specific requests and customizations required. 4) SUNSEA SALES DEPT. : Experienced and competent sellers assisting clients in choosing their SUNSEA solution or in search for traditional PV modules from most important manufacturers worldwide. Our company is in touch with many factories and official distributors, so to offer only genuine guaranteed products (solar panels and inverters) and possibility to verify their origin and reliability before buying. For any additional info or explanation do not hesitate to contact SUNSEA!